She married James Ronald (Ronnie) Tabb.2 Janice Jones died. Janice was born. Jane was born at Portland, Cumberland County, Maine, on 5 August 1920. She married Oscar Clayton "Ted" Tabb at Portland, Cumberland County, Maine, on 31 January 1943.1 Jane Marie Aceto died on 22 February 2010 at Portland, Cumberland County, Maine, at age 89. She was buried on 26 February 2010 at Calvary Cemetery, South Portland, Cumberland County, Maine. 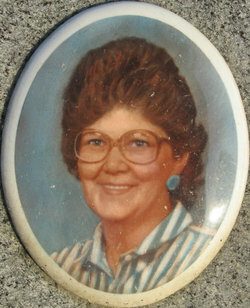 Her body was interred at Drakesboro, Muhlenberg County, Kentucky, at Hayden Cemetery.1 Pauline died.1 Pauline was born. Gladys Lyle Patterson was born on 20 August 1926 at Hardin County, Kentucky. She married William (Bill) Tichenor Tabb, son of Emmett Leo Tabb and Willie L. Tichenor, on 25 August 1948 at Hardin County, Kentucky.1 Gladys Lyle Patterson died on 14 September 2007 at Sonora, Hardin County, Kentucky, at age 81. [S1] See: http://www.harvestcomm.net/personal/jeg/g0000261.html., Source: Email from Lucille Brown (e-mail address) dated 27 June 04. [S1050] Source: John Lang Tabb 143 34th Avenue S., Jacksonville Beach, FL 32250 Phone 904-246-9004 (e-mail e-mail address).